Chronic joint pain can be excruciating. Fortunately, if you’re living with this ailment, an arthritis doctor at Tahoe Fracture & Orthopedic Medical Clinic’s Reno, Nevada, office can diagnose your condition and help you formulate a plan of treatment designed to relieve your pain and get you back to the activities you enjoy. Osteoarthritis — This degenerative condition is the most common form of arthritis. Healthy joints include a thin layer of cartilage that helps the connecting bones glide smoothly against each other. With osteoarthritis, however, that cartilage tends to wear down over time, resulting in painful friction between the bones. Psoriatic arthritis — Psoriasis is an immune-mediated condition that causes itchy red patches of skin often resembling a scaly rash. People living with this condition are also at risk for developing psoriatic arthritis, which can lead to pain in the lower back and feet, nail pitting, and conjunctivitis, in addition to the many symptoms caused by osteoarthritis. 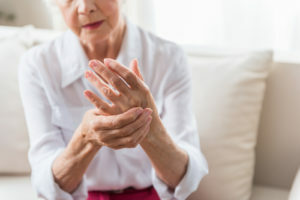 Rheumatoid arthritis — This condition occurs when someone’s immune system mistakenly attacks his or her own bodily tissues, including the lining of the joints. People living with rheumatoid arthritis may experience swelling, tenderness, and warmth in their joints. Each arthritis doctor on our team has the skills and experience necessary to treat these and other forms of arthritis. When you meet with an arthritis doctor at our office, he or she may recommend a variety of nonsurgical and surgical treatments, depending on your condition. If you’ve been living with painful joints for some time now, please contact Tahoe Fracture & Orthopedic Medical Clinic to make an appointment with an arthritis doctor at our Reno, NV, office.